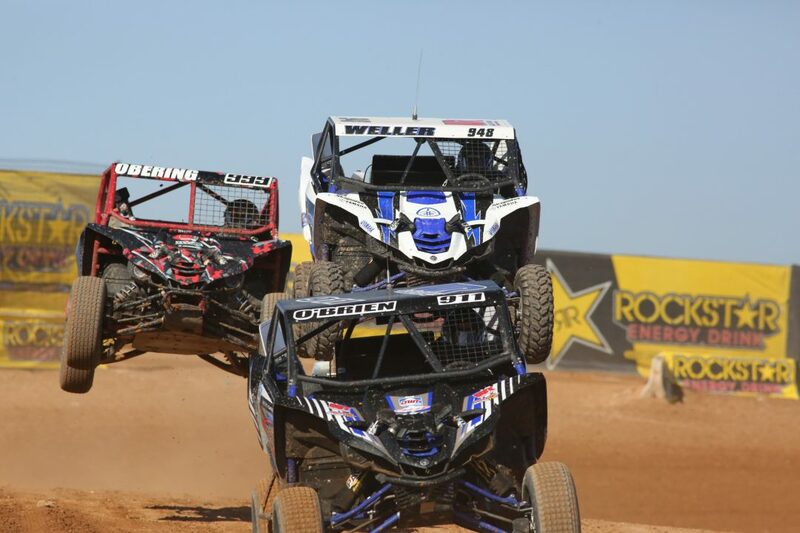 Chandler, AZ (4/16/2018) – Weller Racing’s Corry Weller, Jason Weller, Brock Heger, and Paul O’Brien all recorded excellent results during the UTV racing season opener for the Lucas Oil Off Road Racing Series. The event was held at Wild Horse Pass Motorsports Park in Chandler, AZ. 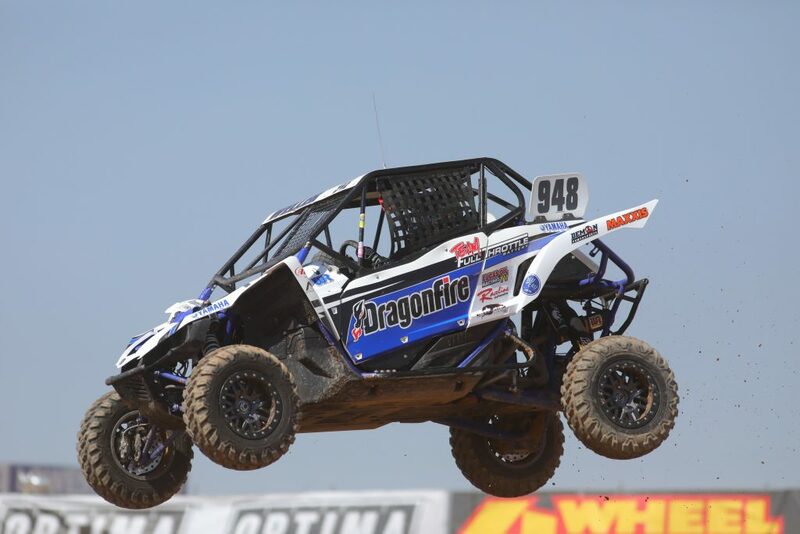 O’Brien finished second in Production UTV and third in Turbo Production UTV. 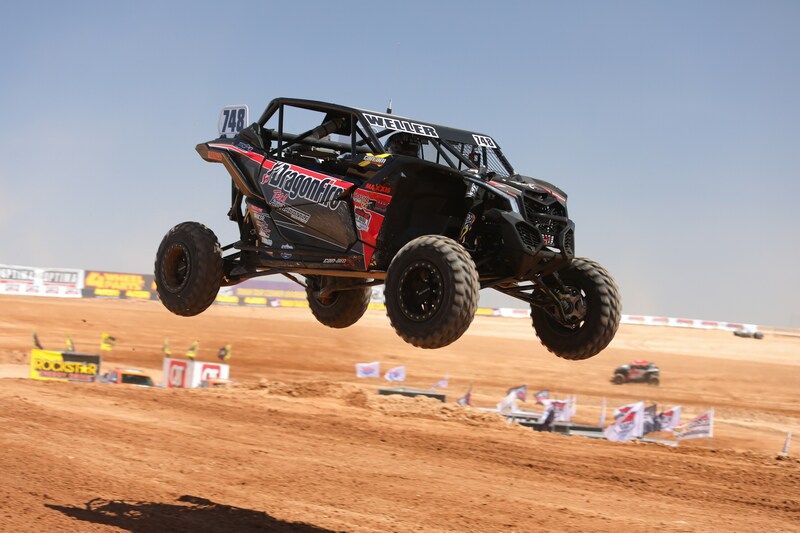 Heger, the defending champion, was third in Production, Jason Weller finished sixth in Production UTV while his wife, Corry, was fifth in Turbo. The team is running Yamaha YXZ 1000s in Production, and Can-Am Maverick X3 Turbos in the Turbo class. O’Brien ran both classes and had the distinction of earning podiums for two different manufacturers. The unique arrangement was made because Yamaha doesn’t produce a production turbo UTV. 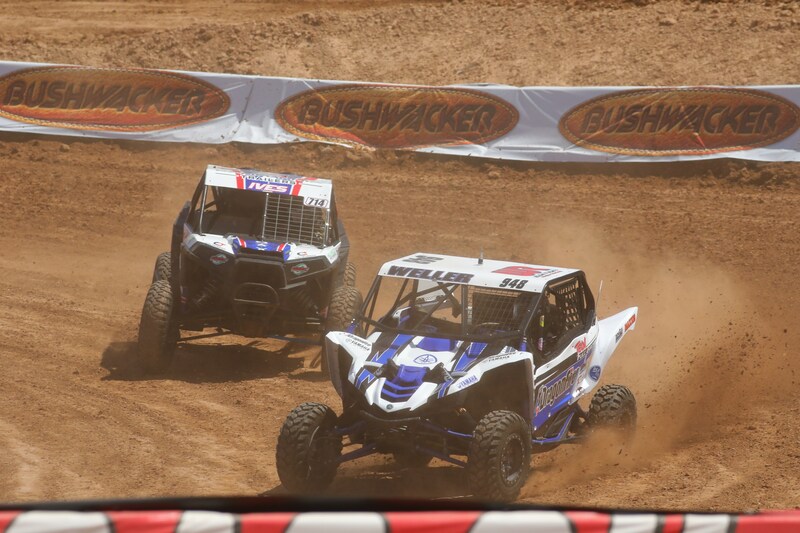 Heger started 10th in the Production race, and made his way through the field to finish third. The podium puts him good position early in the season to chase his second consecutive title. Corry and Jason Weller are running Turbo Production and Production, respectively. Each of them acts as a spotter for the other while they’re running in their respective classes and they rely on each other for setup advice. In Turbo, Corry Weller cut down a tire due to contact on the second lap, but due to the durability of both the Maxxis tire and Raceline wheel, she finished fifth. In Production, Jason Weller finished sixth. 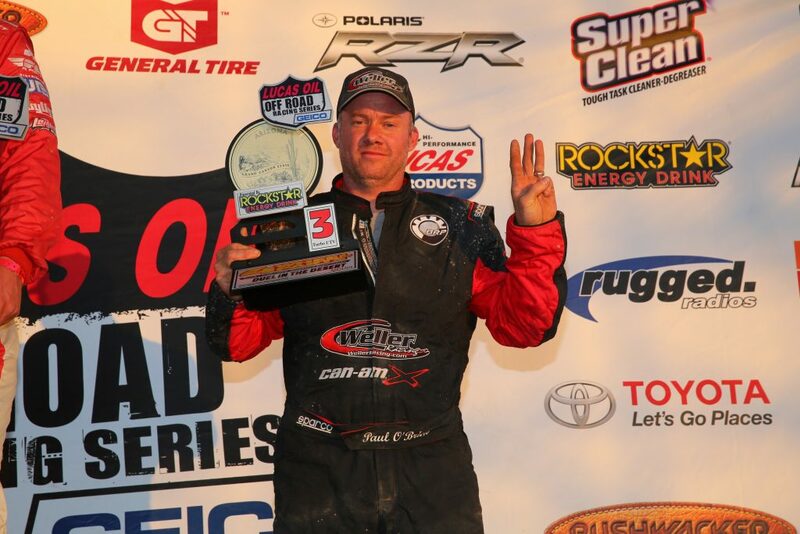 The result was especially important to Weller because it broke a string of rotten luck in the regional races leading up the event. 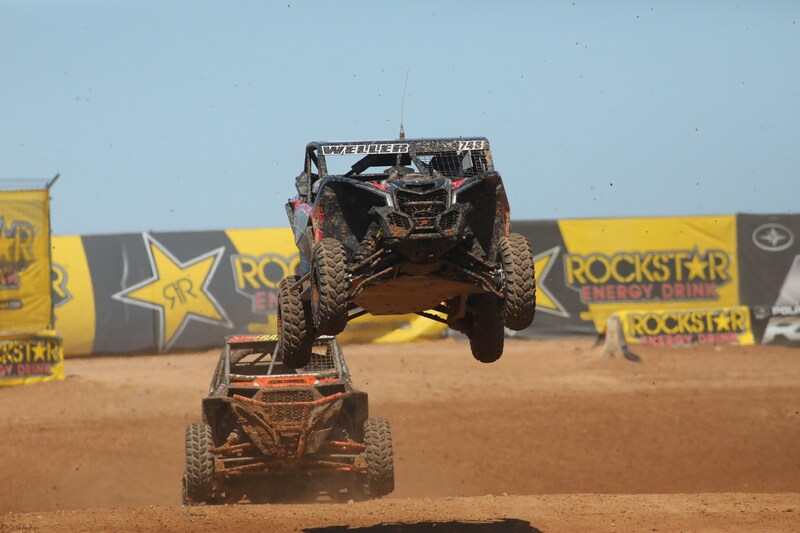 The Weller Racing team will be back in action as the Lucas Oil Series heads next to the Estero Beach Resort in Ensenada, Mexico. That race is scheduled for May 19-20.